The chicken that crossed the road. 17 and a bit years ago we had the pleasure of welcoming our baby daughter into our world. As she was born, her Dad said, “There’s my little chicken!” and her nickname would stay. When she started school 12 years ago she had a shor bob haircut, a totally oversized dress with a bag she could probably fit in. When we fetched her that day, the teacher called us aside as she needed some clarity on what Victoria prefers to be called. As it happened the teacher made name tags for the children. Victoria gave her tag back and said that is not her name. The teacher had written “Vicky” on the tag. Victoria explained to her teacher that “Vicky” is her “Aunty Vicky’s name”and that her name is Victoria which has many more letters. Well that set the stage for Queen Victoria to reign. 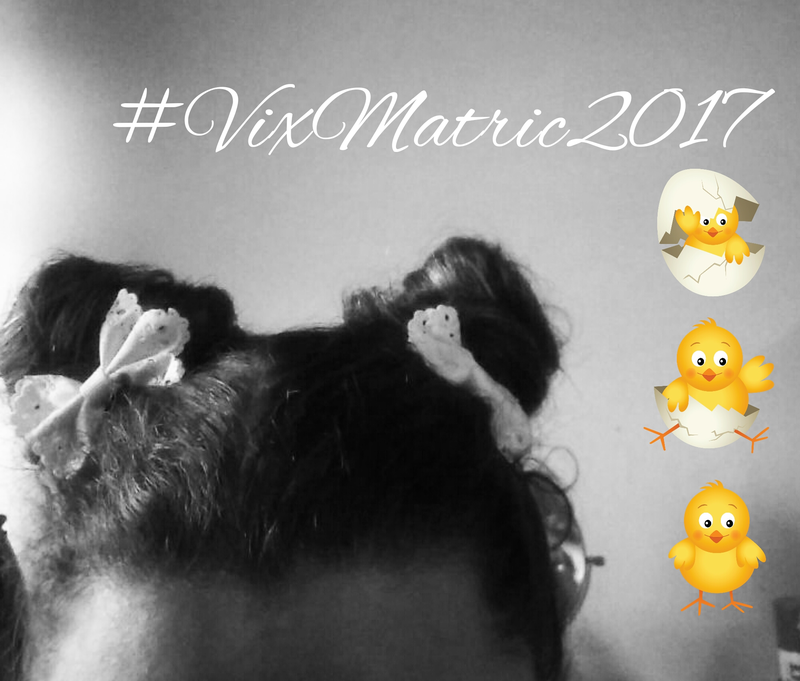 This year is to be known as #vixmatric2017 – Victoria’s final year of High School. After the whirlwind we shall call Liam James… Victoria has been an easy girl to parent. Joyful with excellent projection as my dear friend, Godfrey Johnson would say. Strongly opinionated and not to be walked over. She enjoys painting, reading, movies on the big screen, baking and spending time with her boyfriend whom she calls #Deadpool. As this final year starts, I would like to wish our little chicken patience, believe in who she is at the core which is kinda #kickass…. to enjoy the wild, up and down journey Matric is. I hope she knows she is DEEPLY loved by many. I trusts she never questions that she can trust herself to make decisions. She is well equipped. You’ve got this Chix. All of it. Just click ’em high heels Dorothy’s child. I love you more than purple, drag queens soetkoekies and the smell of cinnamon. PS. Keep growing the hair mermaid, you are not from this world. You swim far too deep. Congrats and goodluck to Queen Victoria. My Dudie, only 7yrs, told a teacher off last year because she also shortened his name. Strong willed children, love that they can be themselves in a world where many are just trying to figure out if they are coming or going….